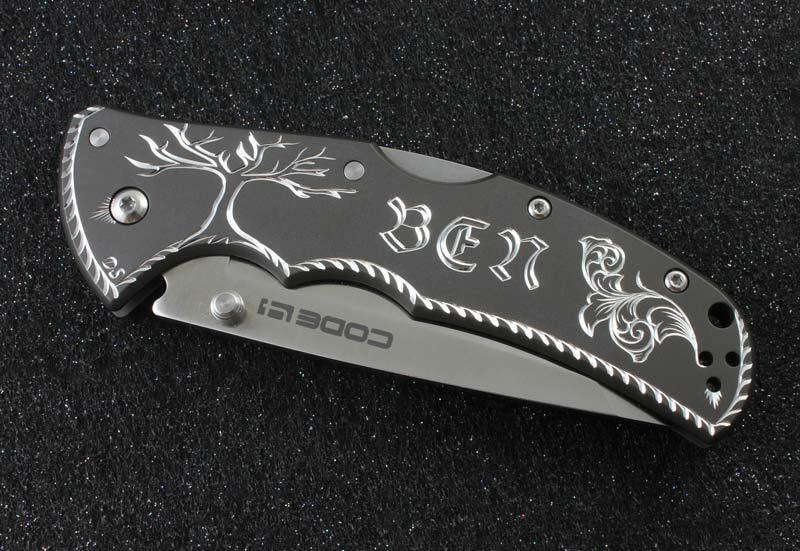 This Hand Engraved Cold Steel Code 4 Folder was done for Ben in Minnesota. He expressed to me that he really enjoys pictures of trees with no leaves. 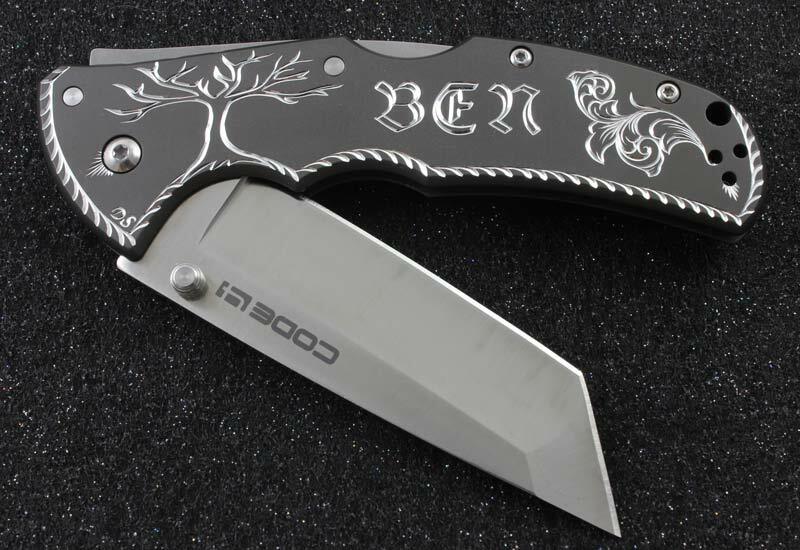 So, along with his name and a bit of scroll work, Ben now has a new knife to add to his collection! The handles on this knife are made from 6061 aluminum and then anodized with a very tough finish. The engraving really pops through nicely. Ben told me that it really has the WOW factor he was looking for. Contact me if you are interested in having a hand engraved knife of your own.